Waking at zero to a frigid house, I imagine my body’s systems slowing, like the insects whose steady production of glycol keeps them from freezing inside. This first three-dog night of January surrenders into a two-nap afternoon for me as I expand into an empty house for the first time in forever–at least without the constant clamor of the holidays. 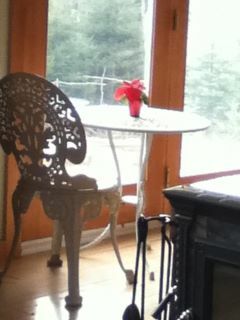 The clutter of Christmas creates such a contrast in its absence that our home mirrors the bare bones outside. I spend the day indoors, in silence, beside the woodstove, steeped in the frozen world around me. The thing I appreciate about the illusion of time is that provokes me to start anew, to reset. I relish in new beginnings… sharpened pencils, crisp calendars, a freshly cleaned room. Just before New Year’s, my husband and I lost all the work we invested–4 months of financial data–with the tap of the wrong key. This, after we committed to getting our finances clean over the holiday break. The simple loss of an online checkbook launches me into a darkness that matches the shortest days, and seems small-minded considering the hardships of others–cancer diagnoses, house fires, tragic accidents. Nonetheless, in the span of an afternoon, I hit bottom, leaning my head against the post that holds up our house as if I could no longer stand on my own. 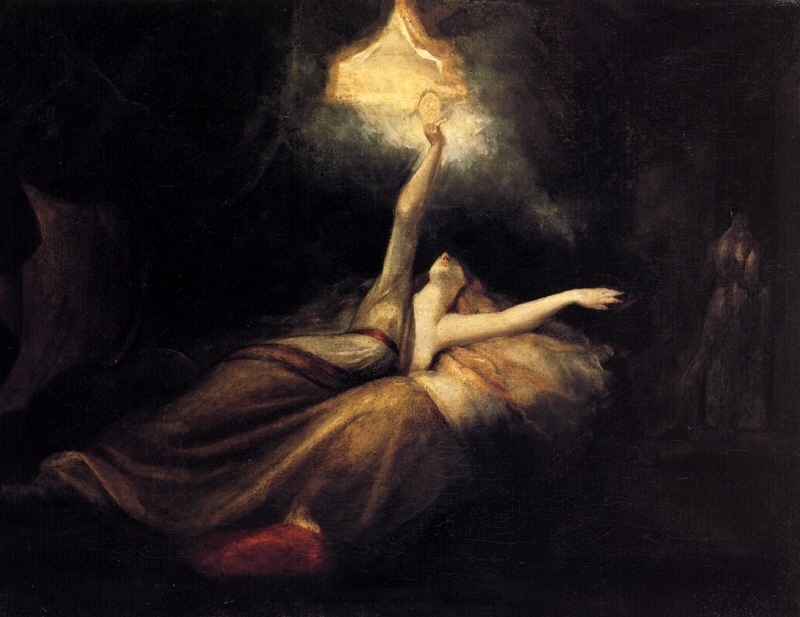 Strikingly, the next morning, I wake free. Free of the whining I did every weekend in the face of figuring out our finances. Free to begin again. With a new attitude. And so we do. On New Year’s Eve. While others head out to parties, my husband and I devote the entire evening toward reconfiguring what was lost; and we accomplish this, just before midnight; feeling weary, but warrior-like–capable of anything! We wake the next morning to a flat tire, a leaking sink and a clogged dishwasher. My husband attends to these while I examine our finances in the light of day–determining that we overspent in way too many categories for way too many months to rebound naturally. The irony of this mismanagement is that this is first chapter in our parental lives that we are both gainfully employed; while at other times, we’ve creatively dealt with months of unemployment without accruing any debt. Thus, this first day of the New Year seemed a sour omen for 2012–or a quickening of everything harsh we must traverse to reach toward something new. It takes another day to surrender into this latter orientation, but surprisingly we do, with gusto. Like the wooly bear caterpillar in the Arctic whose darkness enables him to absorb the solar heat, we embrace the light ahead no matter how harsh the cold. p.s. 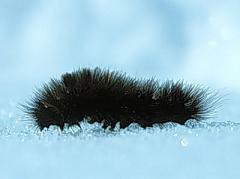 Throughout its life, the woolly bear caterpillar of the Arctic freezes and thaws a total of thirteen times. To read more about life’s freezing and thawing, click here.